Pinterest's innovative ad formats help people find useful, relevant ideas. You can meet a range of business objectives depending on which format you pick, and how you set up your campaign. This is our basic ad format, and it looks just like standard Pins. Any business account with an active billing profile can use this format to support marketing goals like awareness, engagement and traffic. Paying to promote a Pin extends your reach, so more people see your content across the platform. Promoted Video Pins help you catch people's attention while they're browsing or searching on Pinterest. Great videos inspire people to try new things, and engage their imagination. Promoted Carousels contain multiple images for Pinners to swipe through. Use up to five images to tell a deeper story for your product or brand. 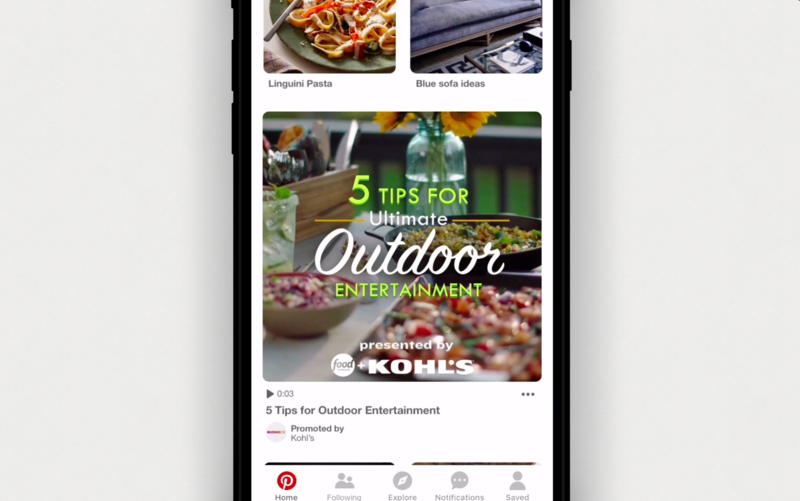 Promoted App Pins make it easy for people to discover and download apps, directly from Pinterest. When someone clicks on a Promoted App Pin, they can download their new app without having to leave Pinterest. Whether your goal is to build your brand, increase in-store sales, drive online actions or boost traffic, it’s simple to get started with Promoted Pins today. Pinterest ads are available to business accounts in specific countries. Please refer to our Help Center for more information.